Torres del Pain National Park. Sarmiento de Gamboa Lake . Pehoe Lakeake de los Cuernos . Hikes tailored to your physical capabilities. Box lunch, snacks, and coffee. Round-trip transportation from Calafate hotels. Entrance fee to Torres del Paine National Park. Please make sure to exchange money in El Calafate BEFORE the tour, as they only accept chilean pesos. A minimum of 2 passengers is required for the tour to operate. We recommend all passengers who wish to take this tour to have travelers insurance. Please check customs requirements to enter Chile and make sure to have your passport with you. Passport details for all the passengers: name, passport number, nationality, and date of birth. Join us for a full day of adventure through Patagonia. We begin our journey by crossing the Patagonian Steppe (the desert) north to south until we arrive at the “Cancha Carrera” border to enter Chile. 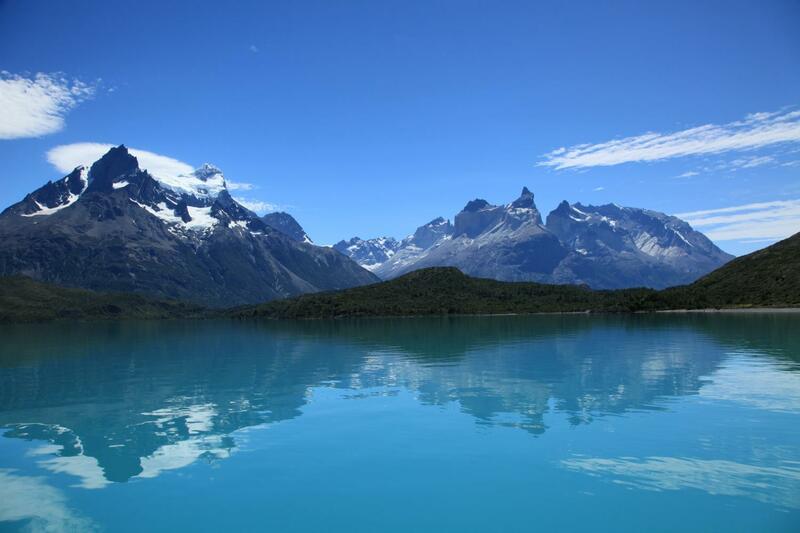 Moving our way further south, we will arrive at the “Torres del Paine” National Park (meaning the “Blue Towers” in the Tehuelche language). This is when the real adventure begins. Our day is split between hiking and being aboard our exclusive Overland 4x4 trucks. The exclusivity of this tour, and the hundreds of hiking paths in the area, enables us to customize your treks to your physical capabilities. This not only aides in your safety but you can be satisfied in knowing that your experience will be a unique one. Our guides are experts and know exactly how to get the best view points for every level of hiker. There will be two breaks, one for lunch and the other for an afternoon snack. If the weather is nice these will be taken outside, but if not, there are plenty of shelters around in which we can regain our energy. Sarmiento de Gamboa Lake viewpoint, Saltos del Rio Paine, Cerro Almirante Nieto/Cuernos del Paine from a superior viewpoint, Laguna Amarga entrance: optional trekking by the Fauna’s footpath to the Sarmiento entrance, Salto Grande viewpoint (Big Fall), Viewpoint Nordenskjold Lake de los Cuernos del Paine, Pehoe Lake. The pick-up starts at 06:30 am and the return will be between 09:30 am and 10:30 pm.